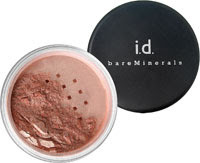 Bijou - A gem of a little salon in Skaneateles: True all over face color from Bareminerals is my favorite thing! True all over face color from Bareminerals is my favorite thing! Soft Focus True All Over Face Color is so true to each individual that it brings out their own unique color. True is a glimmering, sheer wash of color that adds a delicate coraly-pink sweetness to the whole complexion. Provides softest, sheerest of coverage with no mess and no mistakes. Combines two of our most innovative color concepts to create lit-from-within... More beauty.